Janmashtami is one of the biggest festivals in India celebrated by Hindus. Every year during August and September Hindus, across the globe, celebrate the auspicious day of Lord Krishna’s birth on Janmashtami. As India is one such country where diverse cultures are found, it is obvious there are different celebration styles in different parts of the nation. The most favourite and common part of the celebration is the ‘Dahi Handi’ ritual that is performed in the western part of India. Maharashtra leads while Gujarat, Madhya Pradesh and a part of North India follow. Every year Janmashtami festival occurs during late August or early September. Young boys make human pyramid by standing one on other and break a Handi (pot) filled with Makkhan (butter). This ritual shows how little Krishna used to steal the butter from the pots hanging from the ceiling. The festive as well as the rituals are fun to be with. But the most important thing in here is the songs that are played during the festive. No Indian festival is complete without Hindi Bollywood songs that we know. So here is the list of top 10 Krishna Janmashtami songs from Bollywood to tap your foot. Amitabh Bacchan’s signature step is something that no Indian can ever forget. The 6 ft. tall hero grooving and dancing in the song mach gaya shor with all his dancing power added extra brownie point to it. It is a dance number that says the city gets alerted as lord Krishna arrives. It is quite a slow beat song. Though you can’t groove in this song however this song will make you feel really good. This is one of the cutest songs where Krishna is complaining why he is dark and Radha is fair. The song is apt for Janmashtami Puja. The upbeat and full-on dance based song Go Go Go Govinda where you will find the king of dance Prabhu Deva along with his lady Sonakshi Sinha tapping their feet together to celebrate Dahi Handi and Janmashtami. With Mika’s sturdy voice and Prabhu Deva’s grand steps it will make you groove for the whole day. Salman Bhai’s grooving song where he tries to break the pot and Rani on the other stops him to do so. The naughty and fun-filled song is always a hot favourite for the Janmashtami occasion. It is another legendary song from classic movies. The song is in slow pace where Yashoda Maa is telling everyone that little Krishna is very naughty, what she does about it. The song can be used during Krishna worship on the Janmashtami day. One of the most favourite tunes of today’s generation, Radha is the best song for janmashtami, party, wedding and what not. Aliya Bhatt’s awesome steps matched up with Varun Dhwan mad dance has already made the world go gaga over the song. Vivek Oberoy, being Krishna did a splendid job in the movie. The title song is about how Radha feels about Krishna. It is a female based song where Radha is depicting how does she feel whenever she is with Krishna and how Krishna woos her with his flute and such. Amir Khan flirting with other girls in front of his love interest in the movie Gracy singh is the main essence of the song. It is full of complaints from Radha that how Krishna flirts with Gopiya (other girls) and does not look at Radha. Radha is jealous and she desperately wants all the attention from Krishna. Karishma Kapoor along with two other leading ladies Sonali and Taboo mesmerised us with their Indian dancing style in the song. The song is yet another complaining song from Radha’s side where she is complaining to Krishna’s mother about her son. The Sanjay Dutt style song har taraf is a totally festive song. 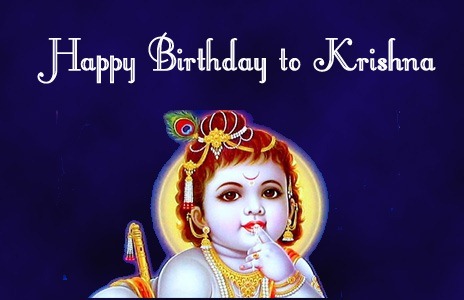 The song is to celebrate the lord Krishna’s birth. The entire world is celebrating and everywhere there is festive mood because our favourite Krishna has arrived.